It is sobering to read an old blog post, one of the hazards of maintaining a blog over any length of time. Five years ago, I described Rachel Kushner’s The Flamethrowers as the ‘very best fiction’. Five years, and five hundred books-later, I no longer know what those words mean. The more I read, the less I know, and I’d now be more cautious about such an epithet. Perhaps I was more open to critical influence; after all, James Wood gushed about The Flamethrowers calling it ‘scintillatingly alive’ and praising Kushner’s storytelling. What is true is that certain set pieces of The Flamethrowers remain inscribed into my memory. Kushner is a good storyteller, capable of evocative description and reasonably strong characterisation. Her storytelling was sufficiently memorable that I bought and read her latest novel, The Mars Room. This latest novel, I’d argue, is better written than The Flamethrowers. Five years is a long time after all. It comes across as an honest novel, by which I mean the narrative voice is strong enough that Kushner knows the places and people she writes about. I don’t mean that this is yet another thinly veiled work of autobiographical fiction, far from it, but nor is it a deeply imaginative work that lacks depth or substance. It is grounded in the reality of working class life in a way that feels believable. Through the eyes and voices of Kushner’s characters, for a couple of days, I sensed the hopelessness of their lives, especially the waste and senselessness of long periods–a lifetime for the main narrator–of incarceration. This is testimony to the strength of her storytelling and, yes, I would apply Woods’ ‘scintillatingly alive’ in this case too. But I offer no guarantees that I will continue to do so in five years time. In those moments when we step out of time, dissolved in a book or piece of music, where are we? First-person fiction is a form of voyeurism, surreptitious participation in a scene in which we have no presence. Reading Rachel Kushner’s The Flamethrowers I am invisibly present, pressed against protagonist Reno’s back as she weaves her Moto Valera motorcycle through New York traffic, almost able to observe through her eyes, almost able to think her thoughts. Almost because first-person fiction offers up this fantasy of being able to access another’s interior. This is one reason I read fiction. The very best fiction, and The Flamethrowers fits this description, promises this sort of access, with its characters, more real in many ways than those passing me on the train as I read. This is one of those stories, told so well that in years to come its scenes and characters will become part of my pool memories, hazily recollected like those parties where we observed and participated through a haze of alcohol or drugs. My Moto Valera was vintage, a Benelli 750 Sei, an angular, ugly beast of a motorcycle. 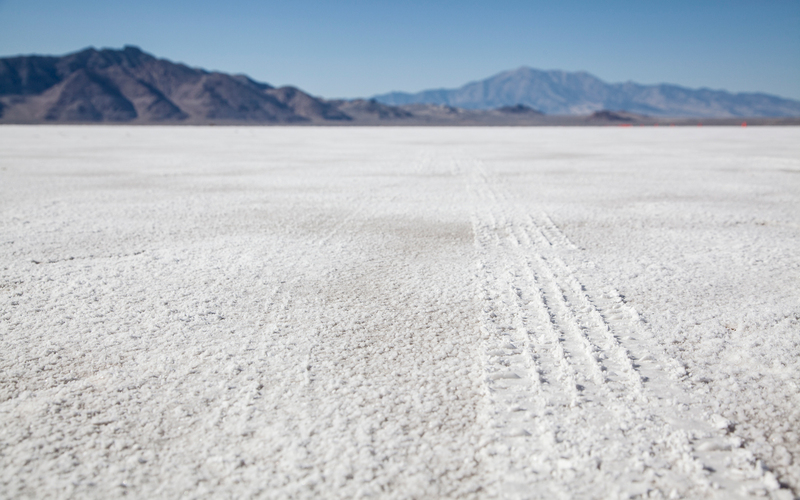 I have an urge to find one again, to ride, like Reno, across the Bonneville Salt Flats. The bird surfed its slack branch, its feathers a perfect even blue like it had been powder-coated at the factory. I thought of Pat Nixon, her gleaming dark eyes and ceremonial outfits stiff with laundry starch and beading. Hair dyed the color of whiskey and whipped into an unmoving wave. The bird tested out a short whistle, a lonely midday sound lost in the infinite stretch of irrigation wheels across the highway. Pat Nixon was from Nevada, like me, and like the prim little state bird, so blue against the day. She was a ratted beauty-parlor tough who became first lady. Now we would likely have Rosalynne Carter with her glassy voice and her big blunt friendly face, glowing with charity. It was Pat who moved me. People who are harder to love pose a challenge, and the challenge makes them easier to love. You’re driven to love them. People who want their love easy don’t really want love.